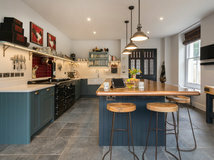 A bespoke kitchen is at the top of many a wish list, but it can often be out of reach due to the cost. 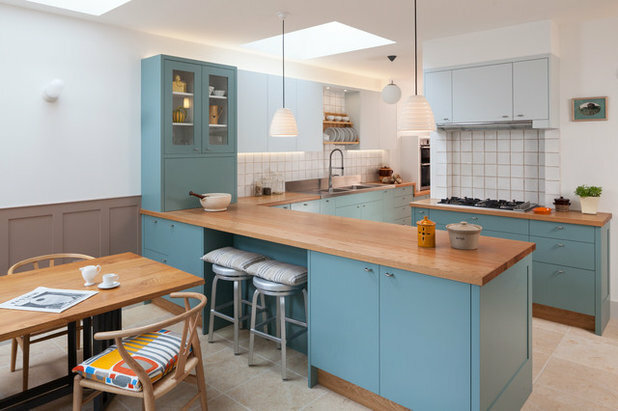 Inspired by some of the beautifully designed kitchens on Houzz, these smart ideas can be used to give the simplest of cook spaces a chic designer touch. 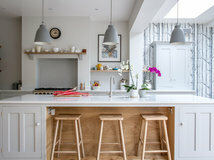 Including a unique piece of furniture in your kitchen can make a big impact, and if it’s a vintage piece, it will have an even greater effect. This gorgeous cabinet provides plenty of storage, a useful island surface and creates a stunning focal point in the room. 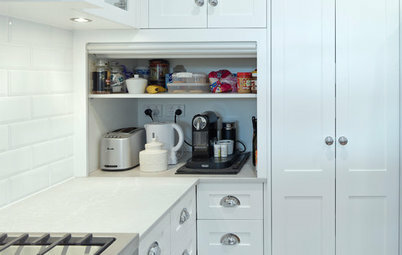 One of the key features of a designer kitchen is bespoke storage tailored to your needs. 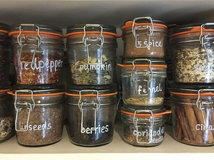 Adding partitions to your cupboards is a simple way to create smaller compartments, seemingly designated for particular items. These can easily be fitted by a carpenter, or by yourself if you’re a dab hand at DIY. 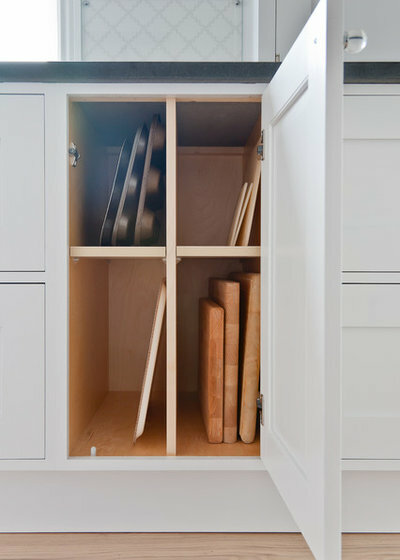 There are all sorts of ways you can create bespoke storage in existing cupboards and drawers. 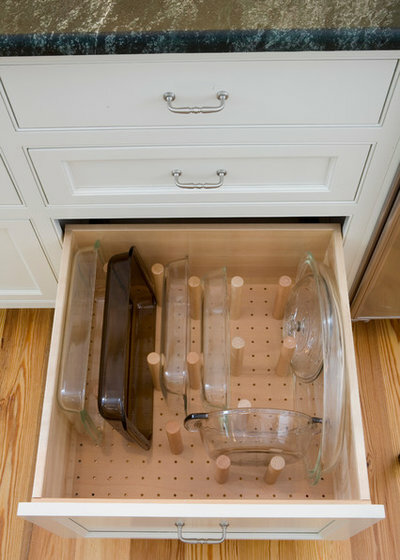 This drawer partition can be made using a section of pegboard and some wooden pegs. Alternatively, use boxes and containers to compartmentalise your drawers. 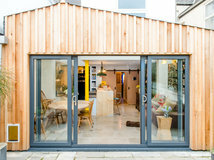 Utilising the space you have in a clever way will instantly create the sense of a well-thought-out design. 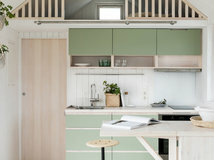 The hanging rack over this island makes great use of otherwise dead space. Invest in some classy pieces to give a fancy first impression. These can be sourced from second-hand or discount stores, but remember to keep the plastic colanders hidden away! 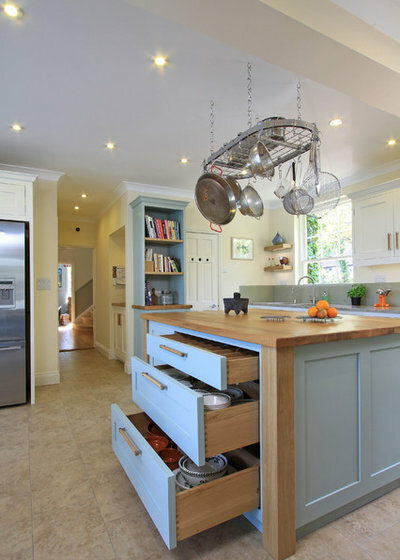 In a bespoke kitchen, storage is styled to perfection. 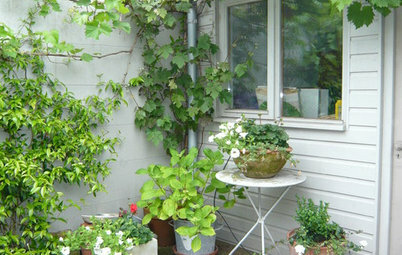 Introduce a few attractive elements to give you the same effect without having to spend too much. 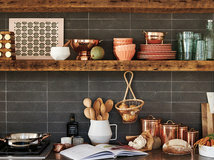 In this beautiful cook space, simple box shelves are given a designer touch using decorative tiles. A smaller shelf is perfect for mugs, while hanging rails, wire baskets, pretty jars and pots provide a place for everything. 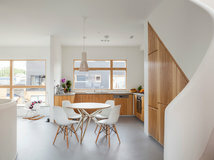 All the items have a home, and the kitchen looks gorgeous. 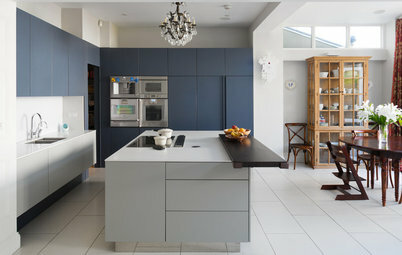 Designer kitchens have impeccable lighting. This not only makes the room look stunning, but also provides effective task lighting to make the space easier and more enjoyable to use. If you want to introduce new lighting to an existing kitchen, try using battery-operated LED spotlights and strips that don’t need wiring in. 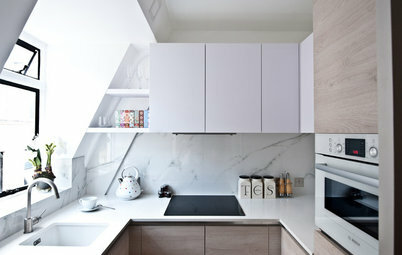 Install them over worktops, under cabinets and inside open or glass-fronted cupboards to create an expensive appearance. 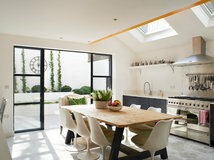 Enhance the design of your kitchen by introducing an interesting element to catch the eye and provide a focal point. Beautiful wallpaper adds a sense of style to this kitchen. 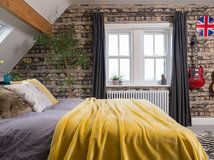 Wallpaper is a great way to freshen up a room without you needing to do a lot of work or spend much money. In a rental property, try vinyl wall decals or temporary wallpaper. 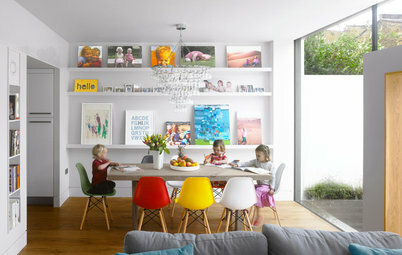 Colour makes a huge difference to the look of a room and a lick of paint can work wonders. 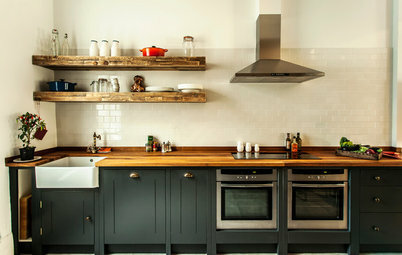 Whether it’s on the walls, floor or cabinets, use paint to instantly alter the mood of your kitchen. Either brighten it up with a splash of vibrancy or tone things down with an elegant neutral. An empty wall is the perfect spot for open shelves as a way of adding more storage and creating a display area. 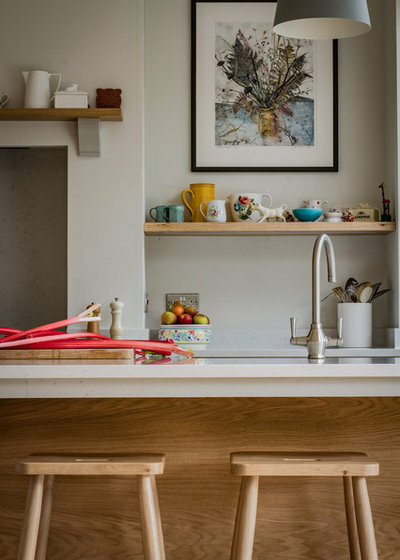 Opt for a decorative or contrasting shelf to add character. 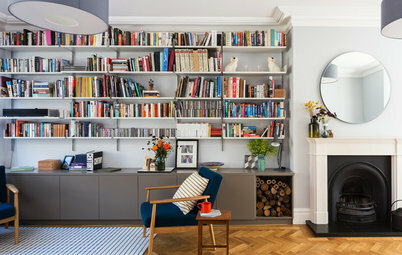 Keep the shelves clear of clutter, and use them as a design piece to show off styled arrangements of recipe books, beautiful objects and interesting pieces. Artwork is the perfect way to add personality and a stylish touch to a room. It could be a treasured investment piece, a stunning wall hanging, or simply a cool print or vintage poster. Bringing in pieces that reflect your personal style will help to give the feel of a designed space. Even in rental properties, if you ask your landlord nicely, they’re sometimes happy for you to hang items using professional picture hooks that cause little damage. 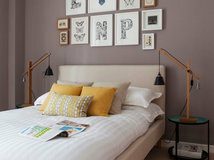 Alternatively, you can hang artworks from picture rails using hooks and wire without damaging the wall. Replacing your cabinet doors is a simple way to give the appearance of a brand new kitchen. 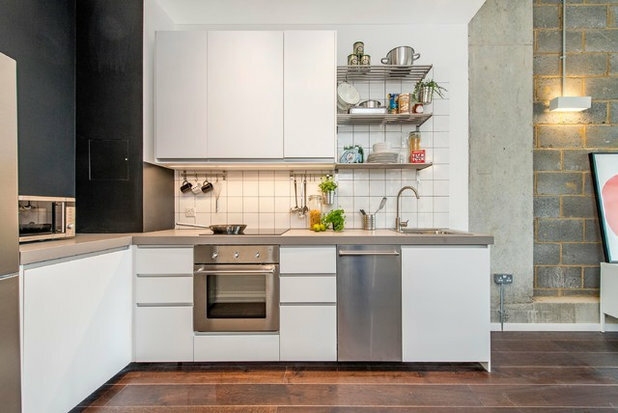 As long as your units are standard size and the main carcasses are in good condition, you can just swap the doors without having to worry about the worktop, splashback, plumbing or electrics. This is a little more costly than the other ideas, as the doors are usually the priciest part of a unit. 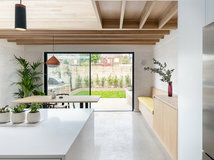 However, it’s much cheaper than a complete renovation and if you’re happy with your kitchen’s current layout and other elements, then it’s a very cost-effective solution. Another simple way to upgrade your units is to replace the handles. 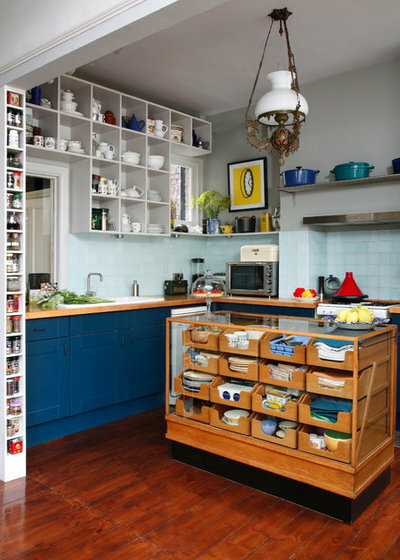 Classic cabinets can be transformed from traditional to contemporary, or vice versa with this simple trick. 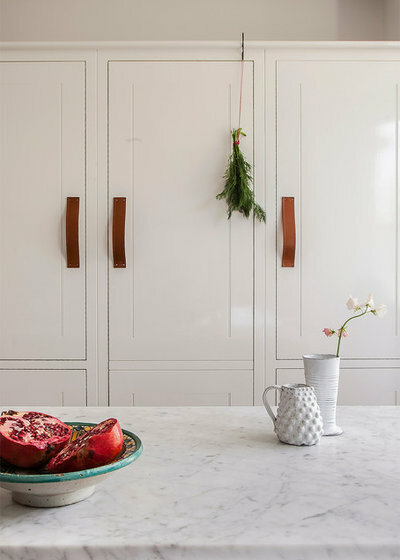 Similarly, a cheap, mass-produced handle replaced with a beautiful handmade ceramic knob or stylish leather door pull can boost your kitchen’s chic factor with just a quick swish of a screwdriver. It’s a temporary solution too as the handles can be swapped back if you decide to move or replace your kitchen, and you’ll get to keep your lovely new handles to use again. 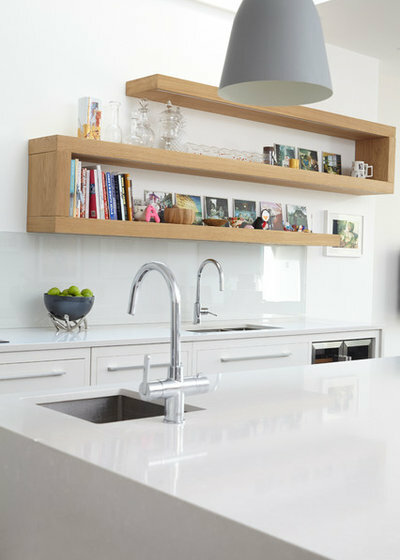 The splashback can make a huge difference to the look of your kitchen. 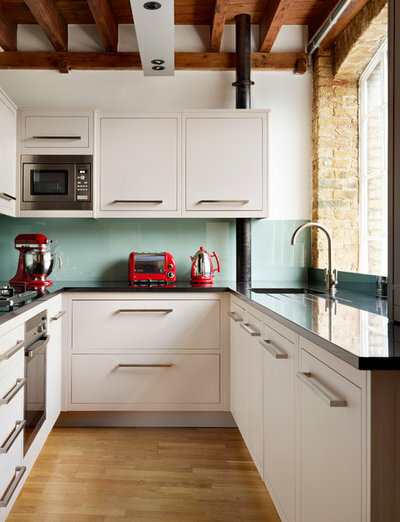 It’s often the case when moving into a new home that the kitchen is perfectly adequate in functionality but some elements, often the splashback, aren’t to your taste, but this can be easily fixed. 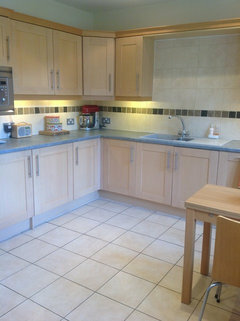 Replacing the splashback is the ideal solution but it requires care so as not to damage the worktop, cabinets or wall. 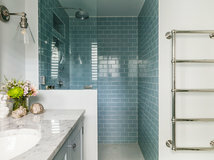 For a simple DIY update, try painting it or stencilling on tiles. As a last resort, it’s possible to tile over an existing splashback provided it’s secure and the wall is sound. It’s also better if you can’t see the edge of the tiles. Get a professional to check first to make sure you won’t run into any problems. 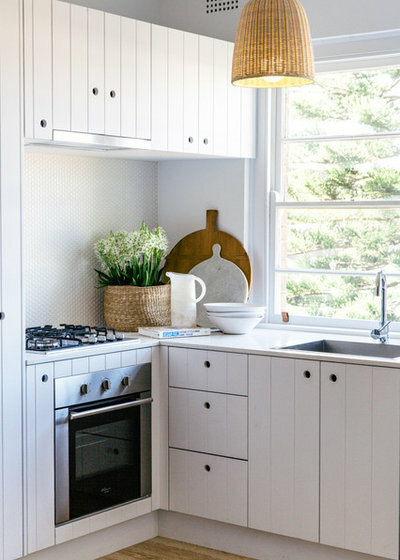 Will you be using any of these designer-style tricks in your kitchen? Share your thoughts and own ideas in the Comments below. 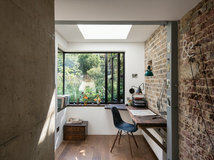 I really like the idea of decorative tiles in box shelves and alcoves. Adds a bit of designer interest. The tiled shelves are beautiful and I love art in the kitchen but I'm not a fan of potracks, no matter how attractive the cookware is. 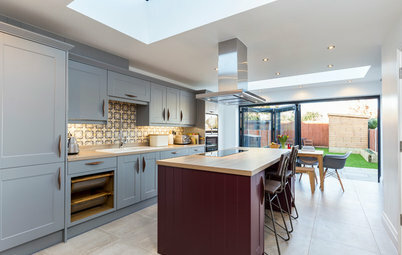 Before and after kitchen photos. 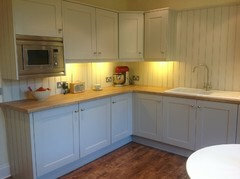 Painted cupboards, tongue and groove walls, word effect flooring. It made a huge difference for not such a huge price!